A handful of prominent child advocacy groups plan to work together today in asking the Federal Trade Commission to investigate Google's YouTube Kids app, with the groups claiming that the popular video streaming service is deceptively targeting kids with advertisements on the tablet and smartphone application (via San Jose Mercury News). The root of the complaint stems from restrictions placed on children's entertainment dating back to the 1970's, which bans hosts of a kids' television series from attempting to sell products during a show, amongst other restrictions. The central crux of that established law, now coming back into play with the coalition's defense against Google, is that young kids haven't yet developed the reasoning behind resisting such advertisements, or even understand that they're being targeted in the first place. Branded channels: "McDonald's has its own channel on YouTube Kids ... (presenting) promotional videos styled as news reports on topics such as, 'What are McDonald's McNuggets made of?' ... (Branded channels) take advantage of children because they do not understand that the entire channel is actually advertising." Lack of separation between shows and ads: "Selecting My Little Pony brings up four options. Two of the four options are labeled 'TV Commercial.' The other two are identified as 'TV Clip' but are actually promotions for the My Little Pony program.' 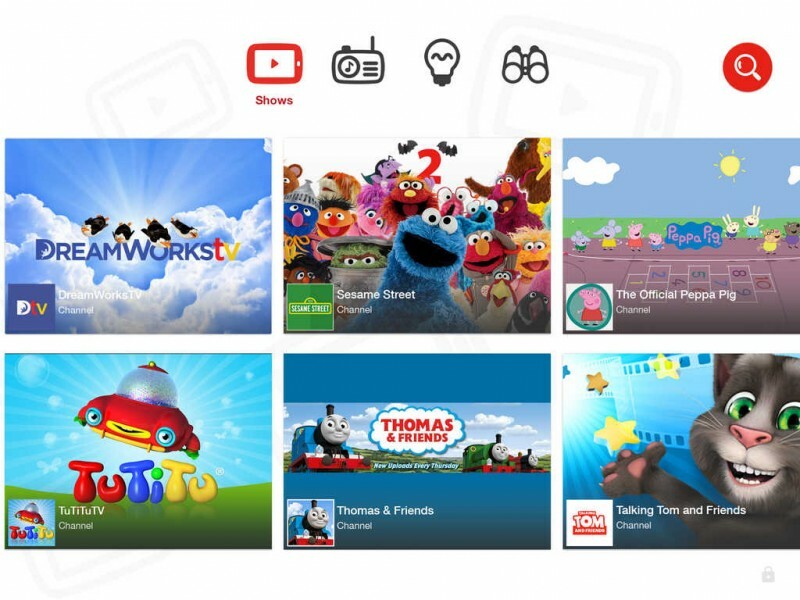 "
The groups rallying against the YouTube Kids app allege Google's new kid-friendly application blurs the line between funny, kid-centric videos and lengthy product promotions. Jeff Chester, director of the Center for Digital Democracy, one of the groups campaigning for more regulation on the YouTube Kids app, sees this as just the first step in a long line of kids' entertainment regulation. "This is the opening shot in a new battle with Google, Nickelodeon, Amazon, Netflix, Cartoon Network and others that are trying to cash in on this generation of young children," said Jeff Chester, director of the Center for Digital Democracy. "It's a battle for the hearts and minds and pocketbooks of America's kids in the digital age." "Google simply ignored the basics," Chester said. "They deliberately ignored the well-documented research on children's developmental limitations when it comes to advertising and programming." Chester also noted that the groups don't just want a more serious look into advertisements, but anything resembling such in the app as a whole, namely the perennially popular "unboxing videos" found on the service. "We want Google to pull all of its unboxing videos from the app," Chester said. "There's no disclosure of who actually owns those channels. They're an ad, in essence, for toys." A few have stepped forward in speaking out in Google's favor, namely Parry Aftab, an Internet privacy lawyer, who pointed out that "something's got to pay" for the free app and said that she doesn't "worry about ads as long as they're not ads for Viagra and Victoria's Secret and things like that, and as long as you teach your kids the reality of ads." YouTube itself responded, stating that when creating the app the company "consulted with numerous partners and child advocacy and privacy groups" and are always "open to feedback on ways to improve the app." The YouTube Kids app officially launched back in February with a catalog of kid-friendly shows and parental controls, both aimed at giving kids a daily burst of entertainment without making parents worry about the more questionable content that can sometimes pop up on YouTube's official service. At least Google is providing options that do provide some parental controls and already eliminates a lot of inappropriate content for children. If you are just slapping a tablet in your kids hands and letting them just sit there watching youtube there is more of an issue than Google (or those "channels") showing marketing & promotional material. I think that train has long since left the station. Today it's rare if Google does something that ISN'T creepy or morally questionable. Say what you will about Apple and their recently buggy software or other problems they've had with getting cloud services off the ground, but they never compromise on privacy or security. They advocate for the environment, accessibility and human rights. Some might say it's fluff to "look good" as a company, but if that were true, then why don't many other companies go to the lengths that they do across the board? Google tries to look benevolent while mining your data, bypassing your browser settings for tracking, scanning your WiFi, or all the other things they've been busted for in recent memory. They're not the worst company out there, but they're far too creepy for me to use them if I can help it. The people who are defending Google should consider the implications of advertising to such a young audience. Many of them won't have seen adverts before, and that makes them vulnerable. What would you think if you didn't know what an advert was? There's a reason why '90s cartoons had ad break bumpers that said "_______ will return after these messages." Otherwise you don't know what's an advert and what's not. You don't have to insta-reply with "lol google" just because the word "Google" showed up in a headline on macrumors. Feel free to go read my post history prior to "acting a fool", mmmmkay? Thx. Bye. Edit: Google stock, purchased at $121 originally & sold in 2013 allowed me to pay cash for the home I live in! Thx for assuming I must have knee jerked. Sooooo much lol. Thankfully, I don't have a television. I don't inundate my kids with this garbage... but I'd say: rather than having commercials before, after, or during the programming... as I believe is customary- & instead tricking small children into thinking that the commercial IS the programming, is evil. Google of late has been making some major changes to their Youtube policies which prevent uploaders from making any money from product placement or endorsements. All advertising on Youtube is being funneled through Google's AdSense platform. This is drastically decreasing content creators' revenues and increasing Google's. All of Google's services are nothing but advertising platforms. Even Google Maps - local businesses which pay Google an advertising fee are featured above all other results on the map. Search for pizza restaurant, and you will see major brands like Dominos and Pizza Hut at the top, while mom and pop shops like Vinny's Pizzeria get squeezed into little unlabeled dots on the map. True to a certain extent, but I doubt your parents sat an watched every show you saw goring up. Checking in once in a while was normally good enough and I can understand the concern over advertisers running little infomercials since kids don't know the difference. So just the same as Children's tv? At least on childrens tv you know (most of the time) what is pure advertising and show. I look at Google and Apple in a similar way. They both do things I like and things I dislike. Neither company connotes good or evil to me. They're just companies. I'm genuinely interested in your thoughts. Apologies to all for threadjacking. The thing that gets me about Google is how they intentionally do things to break the rules. Apple has been guilty of things in the past but nothing near as bad as Google and their creepy policies of data mining, users be damned. I'm a really big supporter of privacy rights and honestly that's the biggest beef I have with Google. I mean, they did some shady stuff back in the day with copying iOS but Apple has copied them back enough now that I would call that battle mostly even. The reason that I prefer Apple over Google is that Apple sells me products and Google sells me to the highest bidder. It mostly comes down to my preference to spend money on quality hardware, software, and services than use free ones that are of questionable privacy and therefore security. I'm sure Google has top notch security, but when you collect that much data I worry about even more elite security operations (such as the government) being able retrieve that information. It's not about them knowing how boring my life is, it's about going off on a power trip. For instance, I have a Nest which I bought before Google acquired them. From that they can tell when I come and go and if I'm being "environmentally friendly" enough. If we just keep giving the government that kind of information then it will lead to further corruption and abuses. At least Apple doesn't collect information about everything that I do. Even the government complains about how secure iMessages is, using scary arguments about children in danger to pull at our heartstrings. Perhaps I'm just paranoid, but I've seen or experienced enough weird (a few really weird) things during my life to give me the right to be paranoid about certain things.